* Rev.10:10~11. And I took the little book out of the angel's hand, and ate it up; and it was in my mouth sweet as honey: and as soon as I had eaten it, my belly was bitter. And he said unto me, you must prophesy again before many peoples, and nations, and tongues, and kings. * 계10:10~11. 내가 천사의 손에서 작은 책을 갖다 먹어버리니 내 입에는 꿀 같이 다나 먹은 후에 내 배에서는 쓰게 되더라. 저가 내게 말하기를 네가 많은 백성과 나라와 방언과 임금에게 다시 예언하여야 하리라 하더라. * The explanation) this work the book sweets on the mouth like the honey and it plummet of the referee, to eat the truth of the plummet and fight as it is, it has the cross, that is the bitter cup, to my belly was bitter. Because, for struggling against this power since being the time it adds to stand the red dragon, the animal and lie prophet as the word of the Revelations and which gets the international large-scale force and when the disaster occurs, it shows to cannot tell without the life person, that is the martyrdom. The good news is given but the hardship comes. Hab.3: Jehovah, the rumor which I deal to the Lord to was listened and it was surprised at 2. Jehovah, Make rehabilitate the thing of the Lord, which is in the several years. Show within this several years. The ire middle can not forget the sympathy, it did. The period for prediction is the half and three years. It is the happy news which doesn't experience the death and in which and soul and body are saved if it stands just a minute and the time of hardship when it cannot defeat by the human energy at all comes. * 강해) 이 작은 책이 입에는 꿀같이 단데 배에서는 쓰게 된다는 것은 심판의 다림줄의 진리를 먹고 그대로 싸우려면 쓴잔인 십자가가 있다는 것입니다. 왜냐하면 계시록의 말씀대로 붉은 용과 짐승과 거짓 선지가 합하여 세계적인 큰 세력을 잡고 환란이 일어나는 때이므로 그 세력과 싸우는 데는 순교적인 생활이 없이는 전할 수 없을 것을 보여준 것입니다. 좋은 소식을 알려주나 곤란이 온다는 것입니다. 합3:2에 여호와여 내가 주께 대한 소문을 듣고 놀랐나이다. 여호와여 주는 주의 일을 수년 내에 부흥케 하옵소서. 이 수년 내에 나타내시옵소서. 진노 중이라도 긍휼을 잊지 마옵소서 하였습니다. 예언 기간은 3년 반입니다. 잠간만 참으면 죽음을 맛보지 않고 영과 육이 아울러 구원 받는 기쁜 소식인데 그러나 도저히 인간의 힘으로는 이길 수 없는 시련기가 온다는 것입니다. As to this, the experiencing to the representative Apostle John eat receive and in bitter, revelation shows the work to It become the representative man at the degenerate age. The bitter in belly, bitter suffering comes from the inside to the times. It is stratagem to this servant and God is the way, that is the intrigue more modest which it makes gain the strong new power, to inspire this internal and using pain to the man of the representative. 이것은 대표적인 사도 요한이 받아먹고 쓴 것을 체험한 묵시는 말세에 대표적인 사람이 될 일을 보여준 것입니다. 배에서 쓰다는 것은 쓴 고통이 내부에서부터 온다는 것입니다. 하나님은 대표의 사람에게 이런 내부적인 쓴 고통을 주는 것은 그 종으로 하여금 좀 더 겸손하고 강한 새 힘을 받게 하는 모략적인 방법입니다. It is one that international advance is brought when the internal and using suffering comes. It experienced to hire Jesus in twelve disciples the internal man and when passing the bitter using pain, the servant of the degenerate age gets to run the large-scale mission. The thing which It becomes suddenly when the time when it doesn't keep, the international situation cannot hire the word of the prophecy comes is again said to be the prophecy. 내부적인 쓴 고통이 올 적에 세계적인 진출을 가져 온다 것입니다. 예수도 12제자 안에 내부적인 사람으로 말미암아 쓴 것을 맛보았고 말세의 종도 그 같은 쓴 고통을 지나서야 큰 사명을 하게 된다는 것입니다. 다시 예언이라는 것은 세계적인 국제 정세가 예언의 말씀을 지키지 않고는 살 수 없을 때가 닥쳐올 때에 홀연히 되어 질 일을 말한 것입니다. & The degenerate age witness conveying the prophets (Rev.10: 5~11). 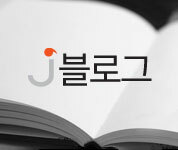 & 선지서를 전하는 말세 증인(계10:5~11). Apostle John got to listen "because it doesn't delay, when playing the day this bugle which the seventh angels make a sound, it accomplishes like the gospel which the God's secret imparts to this servant prophets" the sonorous speech to shout loudly in the sight which as in lion cries out for the revelation when seeing and this not seen that angel tells The scene which like this appointed task man of the degenerate age will have to shout is shown. In other words, if Paulos, as to the Jesus Christ's doing thing spoke one that it was realized in the purpose like the prophet book, the degenerate age witness gets to speak realized one like the prophet book, that is the secret of the God's referee. This is the intending to Christ's country come to the world country interpretation. 사도 요한은 묵시를 볼 때 사자같이 부르짖는 광경에 큰 소리로 외치기를 “지체하지 아니하리니 일곱째 천사가 소리 내는 날 그 나팔을 불게 될 때에 하나님의 비밀이 그 종 선지자들에게 전하신 복음과 같이 이루리라”고 우렁찬 음성을 듣게 되었는데 이것은 천사가 전한다는 것을 본 것은 아니고 말세의 사명자가 이와 같이 외쳐야 할 광경을 보여준 것입니다. 다시 말하면 바울은 예수 그리스도의 행한 일이 선지서와 같이 이루어졌다는 것을 목적으로 말했다면 말세증인은 하나님의 심판의 비밀인 선지서와 같이 이루어진다는 것을 말하게 됩니다. 이것은 세상나라가 그리스도의 나라가 될 것을 목적한 해석입니다. If we realized Jesus through the letter, that is the sermon of Paulos, clearly, the thing to become to the referee is clearly well known through the Revelations, that is the full apprentice, and the prophet book is directly gotten to know. If it told minutely, only Christ intended to one man and it held that Paulos gets Isaiah. The fact that how it becomes for that the world country becomes Christ's country to the people remaining with the servant remaining in the referee, will have to be lectured that degenerate age witness enters the prophet book. The protection which the degenerate age witness gets and with the disaster to be had done as the people believe in Jesus among the disaster, Paulos is the purpose testifying the thing which does there is already Jesus in the world clearly and people it informs directly and who the confusion doesn't receive the confusion of the public work becoming work and lie prophet among the disaster and who doesn't experience the death at the same time and who enters the rest It is the purpose that it leads the field to the livelihood. Because of it did to be relieved in the letter by the trust and having Revelations to be saved only when keeping the prediction, this cannot be combined. This is due to be different in the time. Even if the prophecy must be kept when Paulos testified, it deviates. Because the thing of Jesus testified Paulos directly, the deviating lesson has not been lectured in the least. 우리는 바울의 강론인 편지를 통하여 그리스도를 분명히 알았다면 완전계시인 계시록을 통하여 심판기에 될 일을 분명히 알되 선지서를 바로 알게 됩니다. 세밀히 말하면 바울이 이사야서를 든 것은 그리스도 한 분만을 목적하여 들었고, 말세증인이 선지서를 드는 것은 심판기에 남은 종과 남은 백성들에게 세상나라가 그리스도의 나라가 되는 데는 어떻게 된다는 사실을 강론하여야 할 것입니다. 바울은 이미 그리스도가 세상에 와서 행한 일을 밝히 증거 하기 위한 목적이요, 말세증인은 그리스도를 믿는 백성으로서 당할 환란과 또 환란 가운데 받을 보호와 환란 중에 역사하는 역사와 거짓선지자의 미혹을 바로 알려주어서 미혹 받지 않도록 하는 동시에 죽음을 맛보지 않고 안식에 들어갈 백성들을 살길로 인도하자는 목적입니다. 편지서는 믿음으로 구원받는다고 했고 계시록은 예언을 지켜야만 구원받는다고 했으니 이것은 합할 수가 없습니다. 이것은 시대가 다르기 때문입니다. 바울이 증거 할 때 예언을 지켜야 한다고 했어도 탈선이 되는 것입니다. 바울은 예수의 일만 바로 증거 했기 때문에 탈선된 교훈은 조금도 강론한 일이 없습니다. As to the degenerate age witness, because there is the mission which doesn't get the disaster at the referee day, only when testifying the word of this prediction, there will be no derailment. 말세증인은 심판 날에 재앙을 받지 않도록 하는 사명이 있으니 이 예언의 말씀을 증거 해야만 탈선이 없을 것입니다.